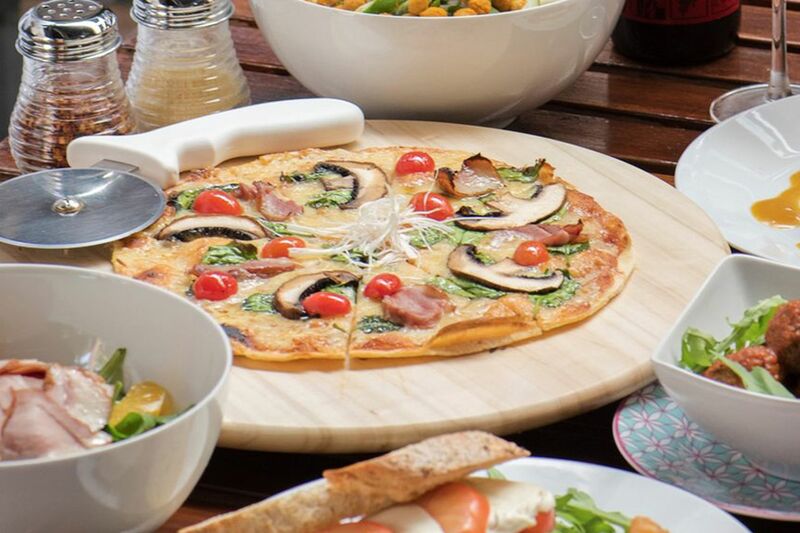 What: Spice up your party with new flavours from home-grown pizza chain Pezzo. The Hainanese Chicken Rice Pizza (available till Dec 31, above) is made up of chicken rice, roasted chicken, cucumber, cherry tomatoes, chilli sauce and melted mozzarella cheese; while the Satay Sedap Pizza has chicken satay, red onions and cucumber with peanut satay sauce. Don't miss the Santa's Surprise Pizza! with a mozzarella-stuffed pizza crust, chicken ham, pine nuts and pineapple. The pizzas are $5.90 a slice, or $29.90 for a pan. 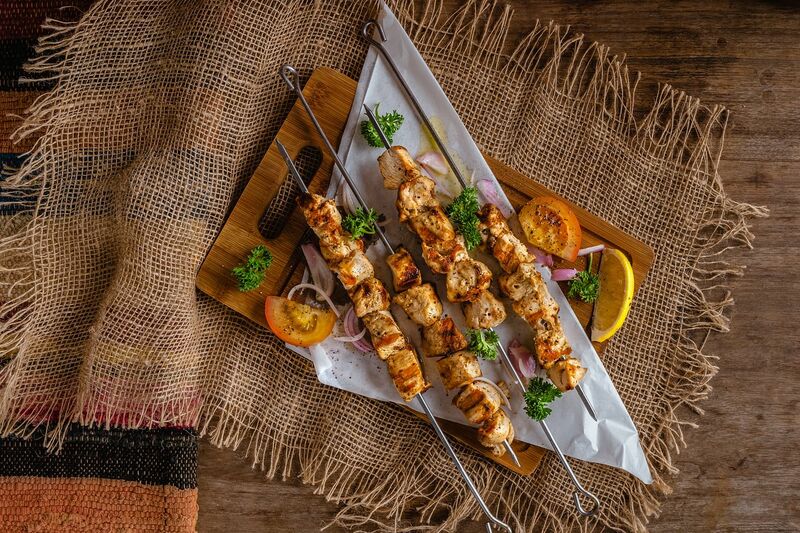 What: Go Mediterranean this Christmas with Greek fare from Blu Kouzina. Menu options include dips (from $13.70), meatballs ($20.12), chicken kalamaki (skewer, $5.50, above) and Greek salad ($15.80). Info: Order online at deliveroo.com.sg. Delivery charge is $3 and a minimum order value may apply depending on location. Order up to one day in advance. 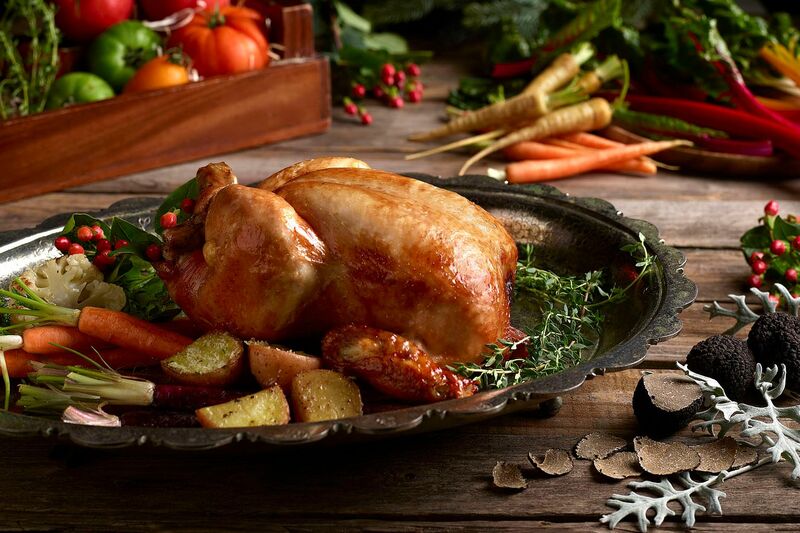 What: Complete your Christmas feast with a spit roast chicken with truffle ($45, above). Each chicken is about 1.8kg and good for four to six people. It is served with roasted seasonal vegetables and herbed potatoes. Add $30 for a bottle of house wine. Info: Call 6828-8880, e-mail thecarvery.phal@parkhotelgroup.com or order three days in advance online at parkhotelgroup.com/alexandra/promotions. Last day of order is Dec 29, for collection on Jan 1. 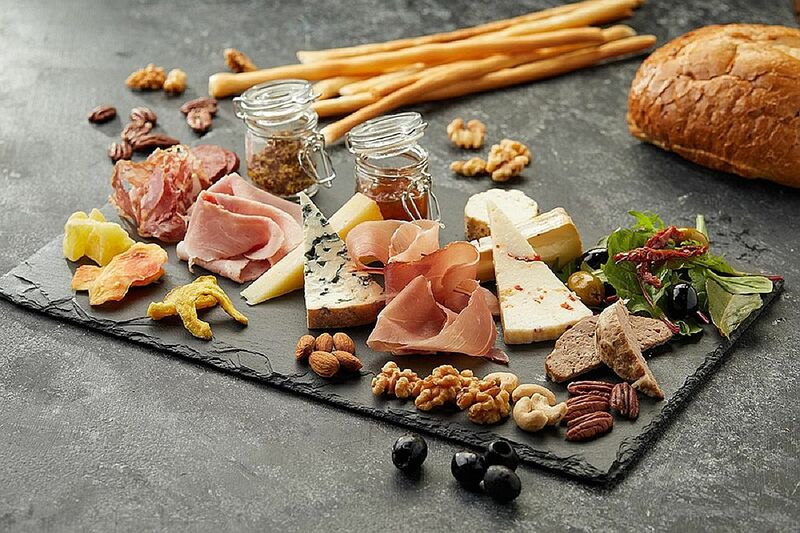 What: Stay in and order a range of appetisers, pizza and pasta from Thyme @ Rochester. Highlights include pizza (from $19.40, above), chickpeas and rocket in yogurt mint dressing ($14.60) and housemade meatballs with pomodoro sauce ($14.30). 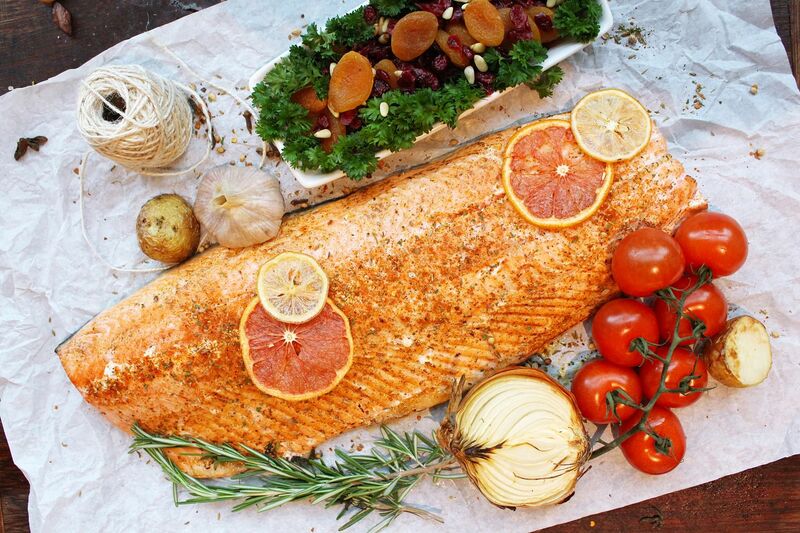 What: Two new items on the festive menu are slow-cooked salmon with Asian spices ($89.90, above, with two cans of Heineken beer); and Lamb Kleftiko ($129.90 with a bottle of wine), a traditional Greek dish of slow-roasted lamb served with a spicy mango coriander yogurt dip. Info: Call 6340-5882 or e-mail H3610-FB3@accor.com. Available till Jan 1, order three days in advance. What: The one-Michelin-starred French restaurant offers appetisers, mains and desserts for takeaway. 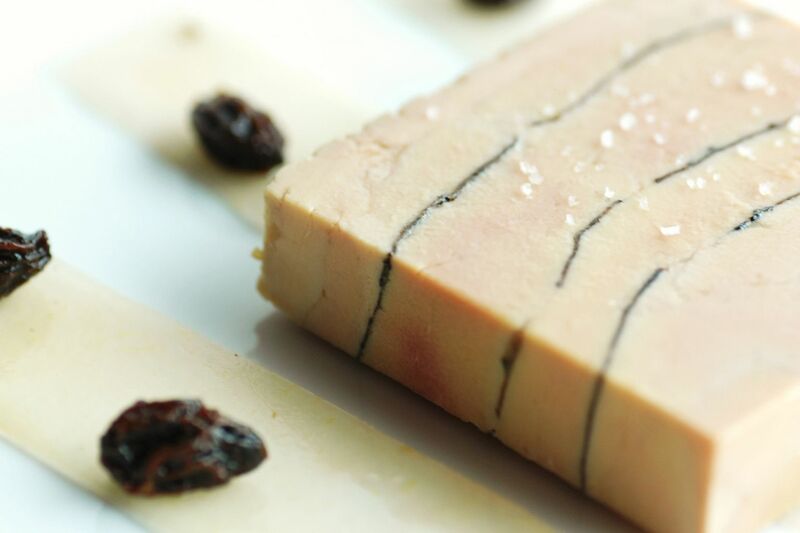 They include the armagnac-marinated foie gras terrine and brioche ($210 for 1kg, minimum order of 100g); black truffle marbled foie gras terrine and brioche ($280 for 1kg, minimum order of 100g, above); and turducken (3kg, $98 for 1kg), which comprises duck, capon, turkey, chestnuts and mushrooms with foie gras stuffing. Items are available till Dec 31. Info: Call 6438-0887, e-mail info@saintpierre.com.sg or order online at saintpierre.com.sg/Order three working days in advance; last order by Wednesday, 6pm for collection on Dec 31. 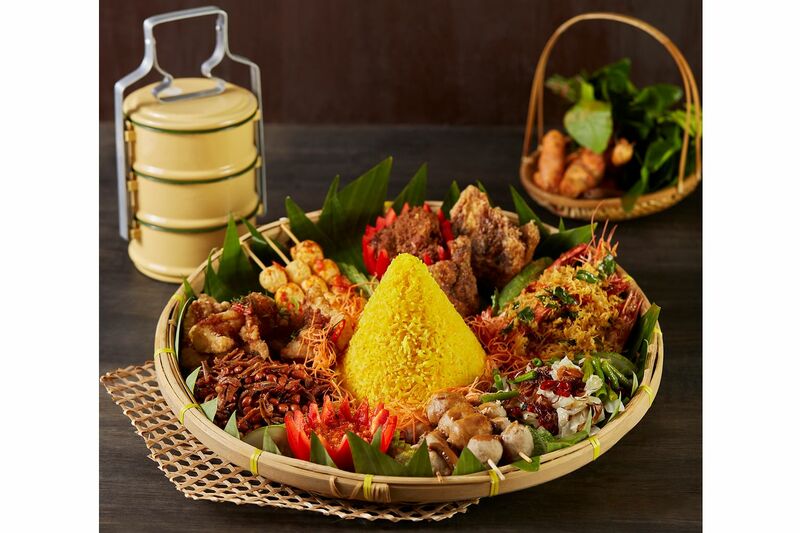 What: For an Asian twist to Christmas, order the Nasi Tumpeng Kintamani ($68, for four people, left) platter, which includes yellow rice, fried chicken, butter prawns, quail eggs, fried beef lung, mixed vegetables and beef rendang; as well as a roast leg of lamb with sweet soya sauce, chilli and black pepper sauce ($98 for 2kg). What: For parties of at least 10 people, check out Cedele's festive packages. The Wholesome Festive Feast ($360) includes a Caesar kale salad; sausage platter, baked seabass and coq au vin (slow-braised chicken with red wine). Another option is the Indulgent Festive Feast ($490) with a cream cheese log platter with smoked marlin (left), slow-poached salmon in yuzu butter and grilled vegetable platter. The items are available till Dec 31. Info: Call 6922-9716 or order two working days in advance online at www.cedelemarket.com.sg, by Dec 31. Delivery fees start at $25, and there is a minimum spend of $150 for delivery from today till Dec 26, and a minimum spend of $50 for delivery after Dec 26. 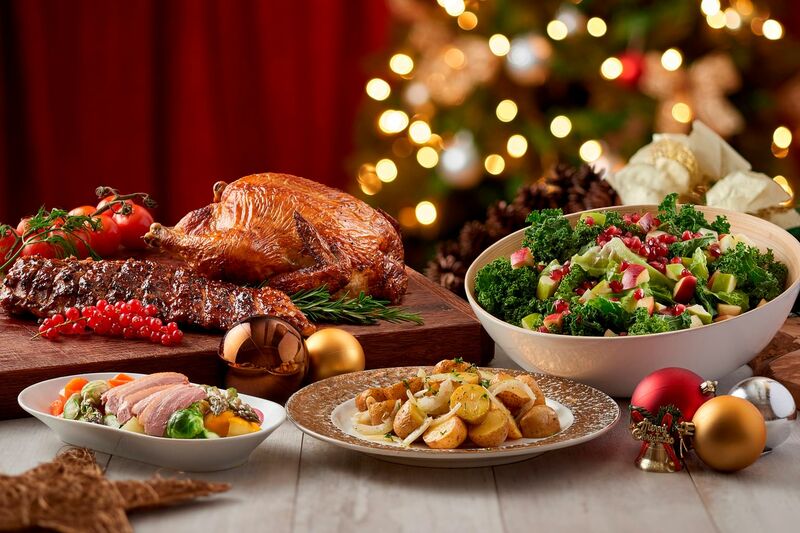 What: For a fuss-free meal, order York Hotel's EZ Festive Party Pack ($150 nett, good for five to six people, left) with a choice of roasted rosemary chicken or roasted kapitan chicken. The set includes romaine and kale salad with pomegranate and apple, baked baby potatoes, and sauteed seasonal vegetables with smoked duck. Info: Call 6737-0511 or e-mail whiterosecafe@yorkhotel.com.sg. Order three days in advance, by Friday for collection on Jan 1. 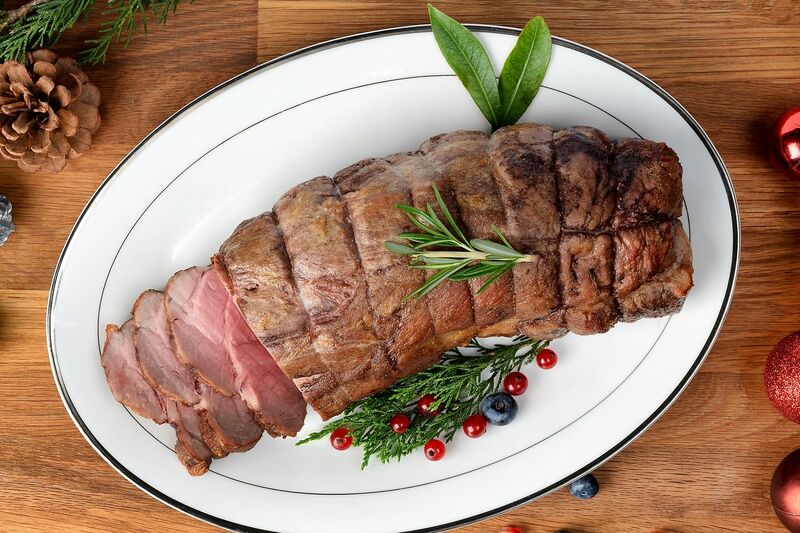 What: Order premium meats from Ryan's Grocery, such as Australian Organic Black Angus Beef Ribeye Roast with Mediterranean Marinades ($188 or $248), where the grass-fed beef is from Blackwood Valley; and free-range Borrowdale Roast Pork Collar Roll with Red Wine and Garlic ($88, above). Info: Call 6463-3933 or order online at www.ryansgrocery.com. Order seven days in advance, by Dec 25 for collection on Jan 3. 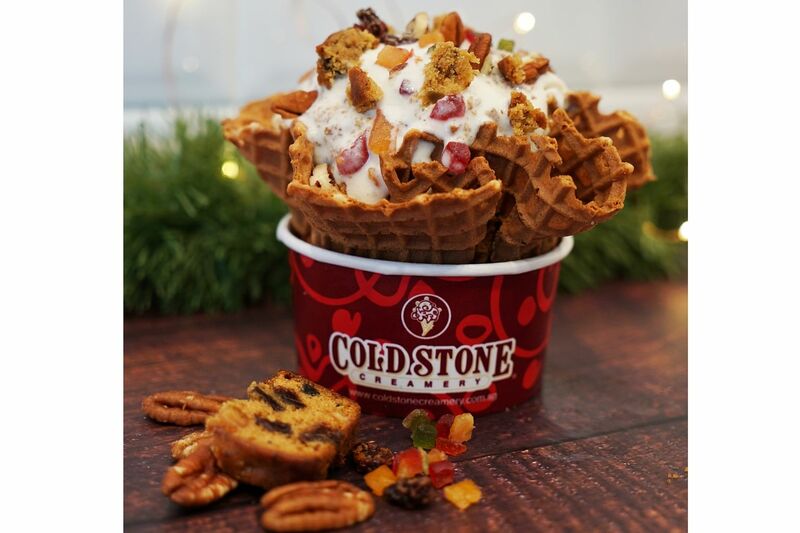 What: Get into the Christmas spirit at ice cream parlour chain Cold Stone Creamery with its Christmas Fruit Cake Batter ice cream (above), available till Dec 31. It includes the signature Cake Batter ice cream with fruit cake, dried fruits, pecans and a sprinkle of cinnamon powder. A scoop is $6.50 - add $1.20 for a plain waffle bowl or $1.90 for a chocolate-dipped waffle bowl. Takeaway pints cost $16 (16 ounce) and $29 (32 ounce). Where: All outlets, including 01-17 Orchard Central, 181 Orchard Road, open: 11am to 11pm daily; 02-K1 VivoCity, 1 Harbourfront Walk, open: 11am to 10pm (Sundays to Thursdays), 11am to 11pm (Fridays and Saturdays). 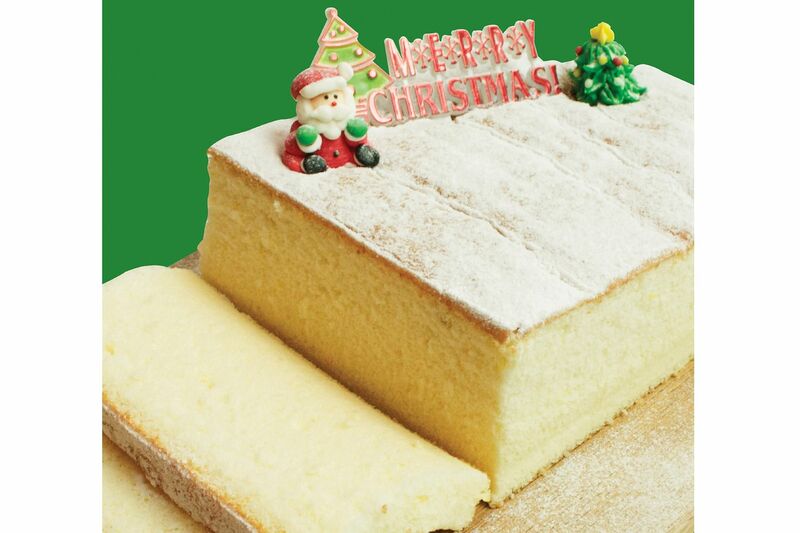 What: The chain, which specialises in fluffy castella cakes, offers an Ah Mah Snowy White Christmas Cake ($12, above) for the festive season. The cake has lemon juice and lemon zest, and is topped with icing sugar and white chocolate ganache. It is available at all outlets till Dec 31. 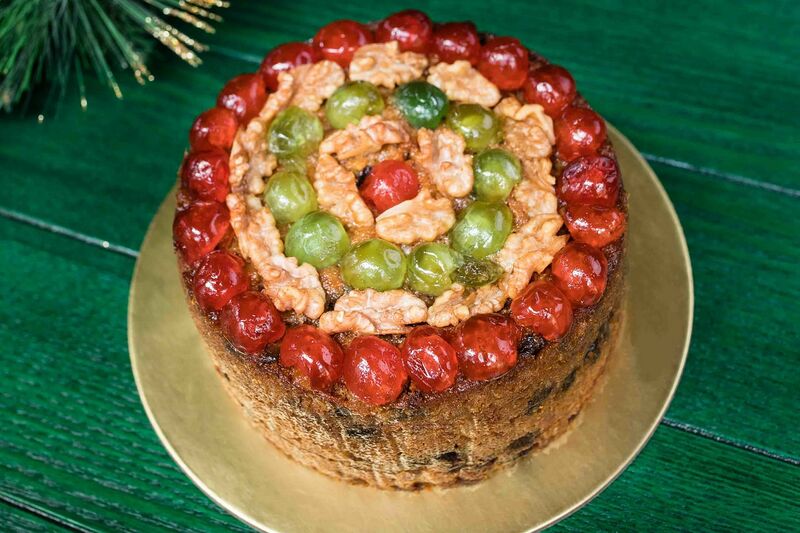 What: The retail section at the new Ion Orchard outlet features the decadent Tropical Brandy Fruit Cake ($65, above) with dried papaya, pineapple and coconut, in additon to the usual traditional fruits. The last day to order is Dec 31. Or pick a cake from the Celebration Cake range (available year-round) - pandan gula melaka ($43 or $75) or black forest cake ($54 or $95). Info: Call 9834-9935 or e-mail eat@violetoon.com. Order two days in advance. 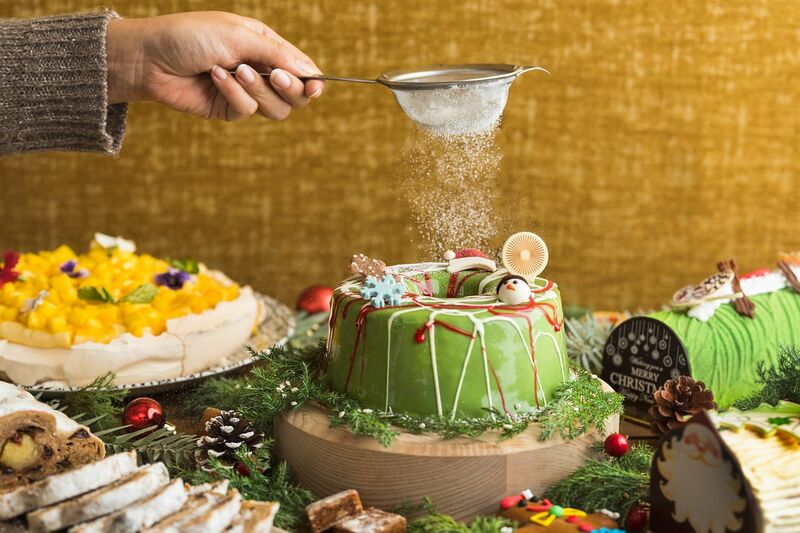 What: The patisserie's festive offerings (above) include Christmas strawberry shortcake ($80) and Christmas cheesecake ($56). These items are available till Dec 27. Where: Pantler, 198 Telok Ayer Street, open: 8.30am to 7.30pm (weekdays), 10.30am to 5.30pm (Saturdays), closed on Sundays; festive opening hours: Today and Christmas Day, 10.30am to 5.30pm. 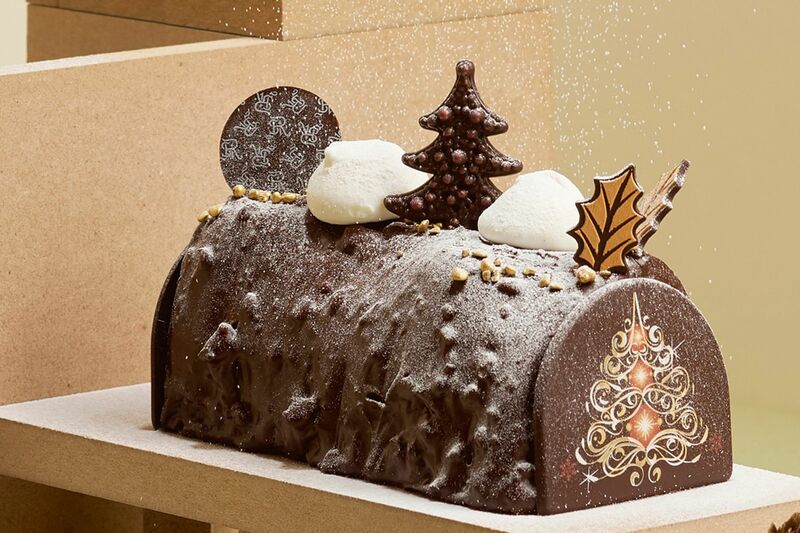 What: One for the chocolate lovers, the decadent Chocolatea logcake ($68, above) comprises chocolate cremeux, chocolate mousse, praline crunch and chocolate flourless sponge. The cake, along with cookies, bread and roast items, are available till Dec 31. Info: Call 6506-6860, e-mail festive.sg@stregis.com or go to brasserielessaveurs.com/festive2018. Order two working days in advance. 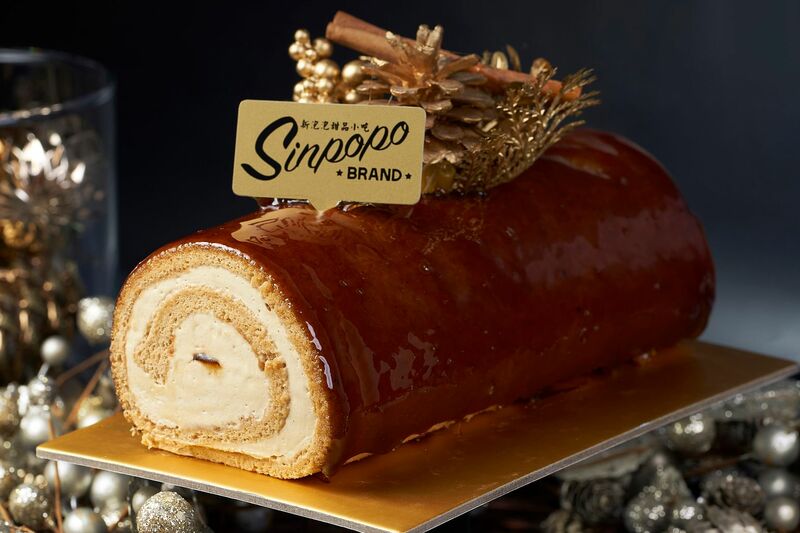 What: Try the gula melaka logcake ($62, above), available till Dec 31. Other options include ondeh ondeh cake ($62) with sweet potato cake layers; and baked apple cake ($62), with butter cake baked with fresh apple slices; pulut hitam cake ($62) and a durian version ($68). The cakes are for eight to 12 people. For a party of 12 to 16, try kueh dadar mille crepe ($82) with gula melaka cream layered between pandan crepes. Info: Call 6345-5034 (Joo Chiat) or 6365-1772 (Paragon) or order online at sinpopo.com. Order three days in advance. What: Pandan patisserie is known for putting a spin on the traditional pandan cake with flavoured mousse encasing the cake. This year, the Christmas Mint Pandan Chiffon Cake ($34.50 nett, above) - available till Dec 31 - is covered with a mint mousse. Info: Call 6408-1234 or order online by Friday at andazshop.oddle.me or at least three days in advance. 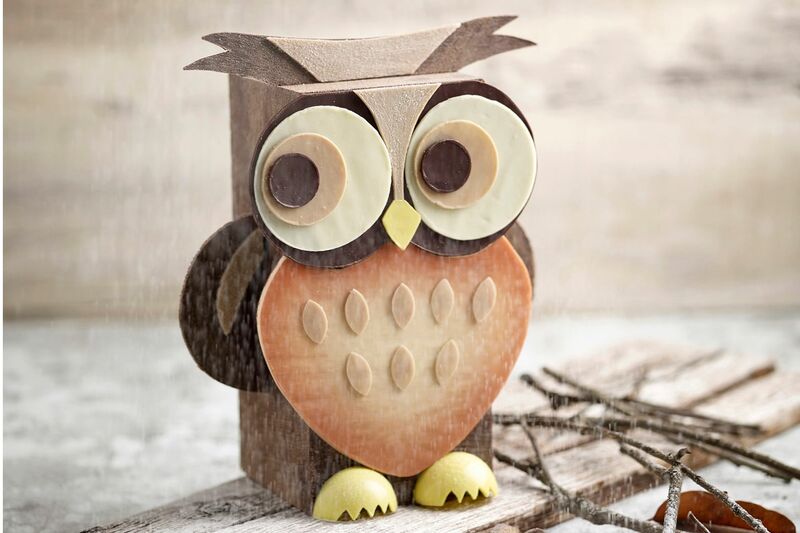 What: Christmas highlights include Owlivia the Owl ($75, 600g, above), which is made of dark, milk and white chocolate; and Frosty ($10, $45 or $90), a sugar-free dark chocolate mousse layered with sugar-free cocoa sponge cake, sugar-free almond chocolate crumble, and topped with fresh fruit. 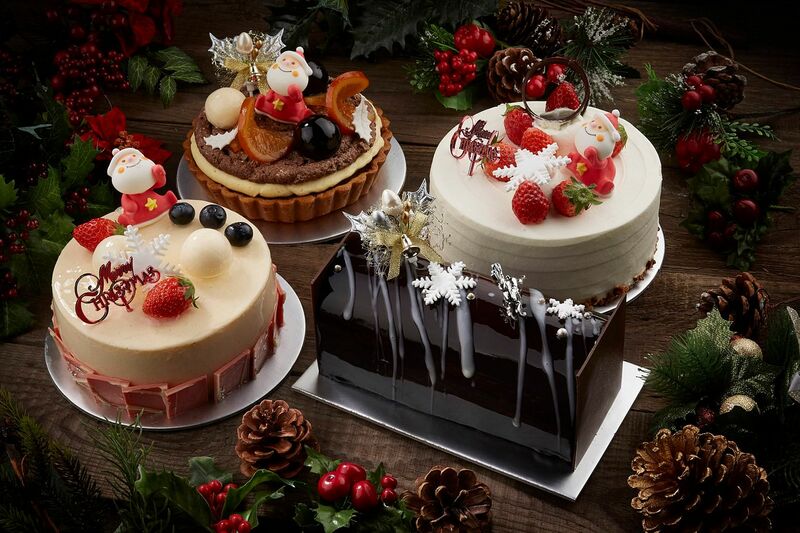 These and other cakes, chocolates, cookies and macarons are available till Dec 31. Info: Call 6293-3121 (Penhas Road) or 6836-9527 (Mandarin Gallery) or go to antoinette.com.sg. Order at least two days in advance. 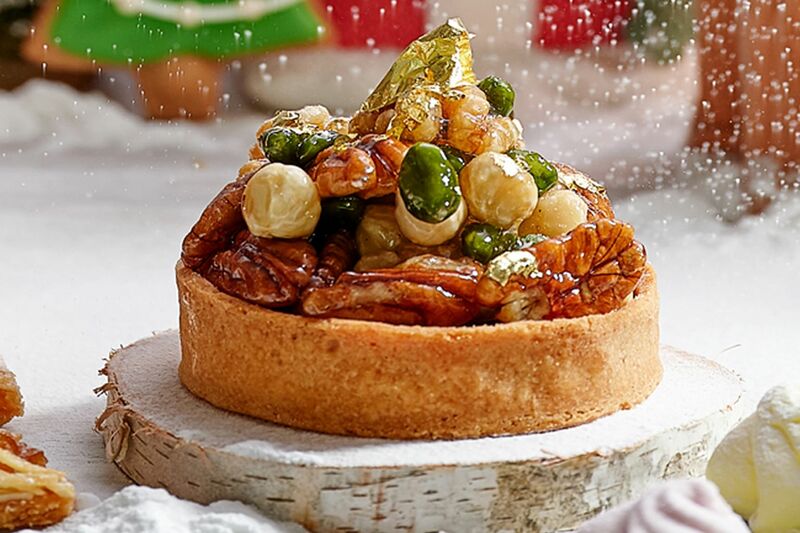 What: Tart options include the new Spiced Caramel Mixed Nuts (above), along with Maple Pecan, Clementine, Egg Nog and Ardeche Chestnuts. The tarts are $10 (small), $45 (medium) or $75 (large). Check out also the new chocolate truffles ($24 for eight pieces, $48 for 16 pieces). The Christmas Collection includes Fleur De Sel Caramel Milk Chocolate 41 per cent, Orange Dark Chocolate 66 per cent, Coconut Almond Dark Chocolate 72 per cent and Piedmont Hazelnut Gianduja. Whisky lovers can go for the truffles infused with single malt whisky. The items are available while stocks last. Info: E-mail tarte@lesamis.com.sg to order five days in advance. What: Two logcakes make their debut this year - Raspberry Chocolate Logcake Pave ($78) and an almond and espresso logcake ($68). Both serve eight to 10 people. 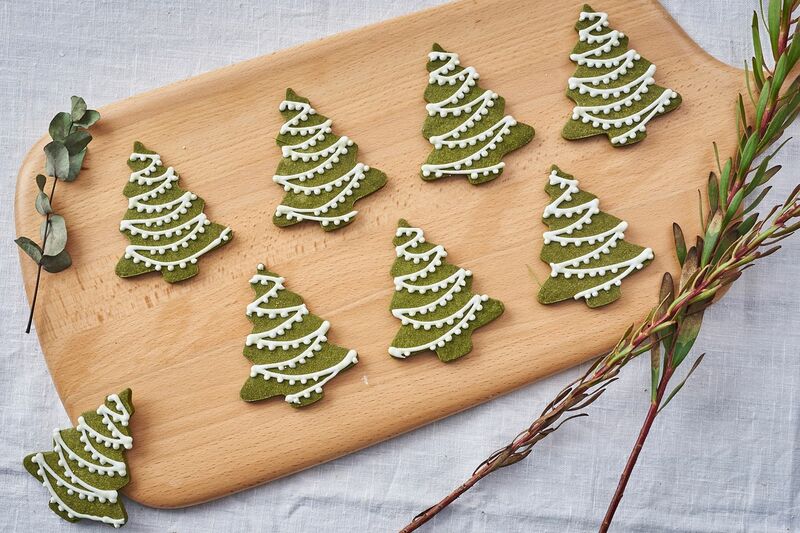 Other goodies include almond fennel biscotti (from $9.90) and matcha tree cookies ($3.90 a piece, above). The items are available till Dec 31. Info: Call 6291-4252 or order online at allthingsdelicious.sg three days in advance. 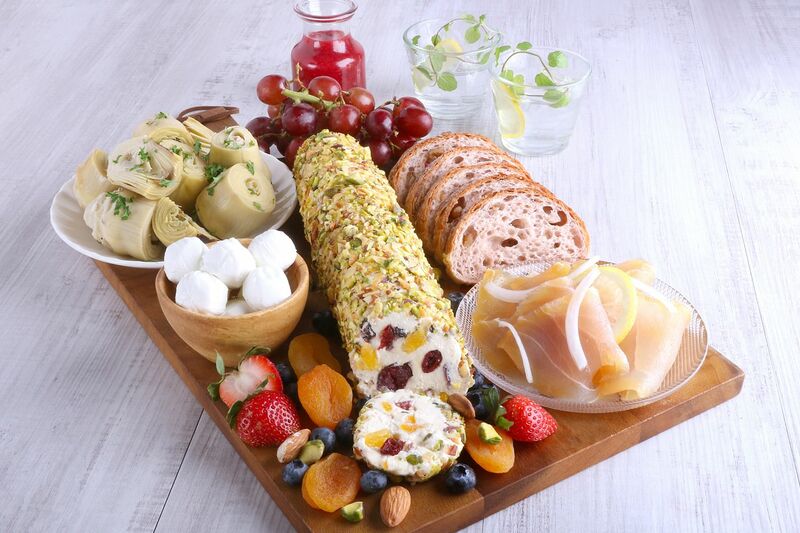 What: Chill out at home with a selection of cheese, bread and wine (from $32.10 for wine) from Wine Connection. Besides red, white, and sparkling wines, you can also get beer (from $9.65) and cider (from $20.35). Info: Order through food delivery service Deliveroo, either online at deliveroo.com.sg or via the app. Delivery charge is $3 and a minimum order value may apply depending on location. Order up to one day in advance. What: Do not fret if your party is running out of alcohol, as AlcoholDelivery can deliver your booze in one hour. The wide selection offers everything from champagne (from $92) to whisky ($56) and sake (from $13). Info: Call 9244-5533, e-mail sales@alcoholdelivery.com.sg or order online at alcoholdelivery.com.sg. Operating hours: noon to 3am daily, closed on Jan 1. Delivery is $10 for orders below $50, with a surcharge of $5 for public holidays. What: Get your tipple any time, as Ring To Drink's delivery service runs 24 hours daily with no delivery charge. Package deals are available, such as the Absolut Vodka package ($130), which includes a choice of Absolut Vodka Original or SmirnOff Vodka Original, two mixers and a packet of nuts. Other alcohol options include whisky, tequila and gin.